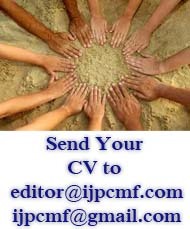 International Journal of Physics, Chemistry and Mathematical Fundamentals (IJPCMF) is included in the international serial directories with ISSN 2278 – 1846. It is an open access and peer reviewed refereed scientific journal and it provides a platform to research scholars to express their views in the field of Physics, Chemistry and Mathematics. The journal is devoted to support the new findings, discoveries and researches of great academicians. This is a medium to publish articles that deal with theory and experimental demonstration of research. It only accepts original, previously unpublished research articles as well as auxiliary materials such as research papers, case studies, conference reports. A full double blind international refereeing process is used by our review committee to check the originality of research material. Also submitted articles must pass our plagiarism checker software. The articles submitted by authors must follow the style of our journal. © Copyright 2011 IJPCMF - All rights reserved. Use of this Web site signifies your agreement to the terms and conditions.